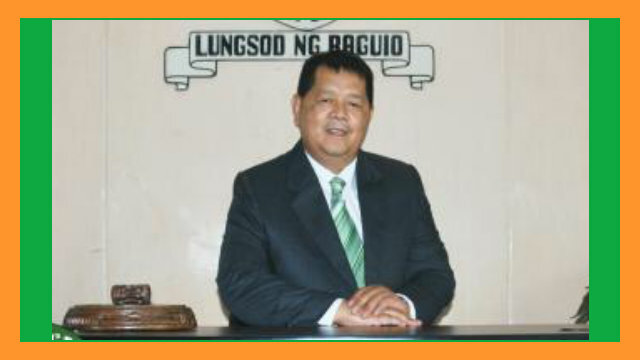 BAGUIO CITY – The City Council approved on first reading a proposed ordinance declaring a lot measuring more or less 51,209 square meters located at the Pinsao Proper barangay and another lot measuring more or less 64,797 square meters located at the Loakan proper barangay as site of a low cost socialized housing project of the National Housing Authority (NHA) or any other government agency for qualified housing beneficiaries in the city and for other purposes. The ordinance authored by Councilor Edgar M. Avila will be known as the Low Cost Housing measure in the city. The ordinance adds that the identified lots measuring more or less 54,209 square meters located in Pinsao Proper barangay and another lot measuring more or less 64,797 square meters in Loakan Proper barangay will be declared as sites for any low cost housing project of the NHA and other government agencies for qualified housing beneficiaries in the city. The ordinance stipulates that as part of the social justice and welfare programs of local governments, the trend now is for local governments to allocate its properties for socialized housing sites for the benefit of their constituents pursuant to the provisions of Republic Act (RA) 7160 otherwise known as the Local Government Code of 1991 and RA 7279 otherwise known as the Urban Development and Housing Act of 1992. The proposed measure adds it aims solve the urban poor dwelling problems in the city by jumpstarting an effort to facilitate the development and improvement of the city-owned properties and declares the same as socialized housing site for residents to avail of various benefits and exemptions accorded to socialized housing beneficiaries under, but not limited to, RA 7279 and Batas Pambansa 220. The ordinance noted that because owning a house and land in the city has become a priceless, the time is now ripe to extend the benefit to qualified beneficiaries, especially the city’s constituents, who had been longing to have a home they can call their own. Earlier, the NHA manifested its desire to immediately prosecute a housing project in a feasible part of the city, thus, the local government was asked to identify possible sites for its immediate implementation to allow qualified beneficiaries from the city’s 128 barangays to benefit from a government supported socialized housing project. Further, NHA informed local officials of the immediate availability of some P50 million from the national government to start projects and the local government’s counterpart would be the site owned by the city which could be subdivided and subsequently awarded to qualified applicants who come from the city’s barangays. One of the difficulties in the identification of potential low-cost socialized housing sites in the city the availability of sufficient lands that could be segregated from the city’s town site reservation to be used for the purpose of providing socialized housing to qualified beneficiaries from the different barangays. The proposed ordinance was referred to a committee of the local legislative body for study and recommendation for action.